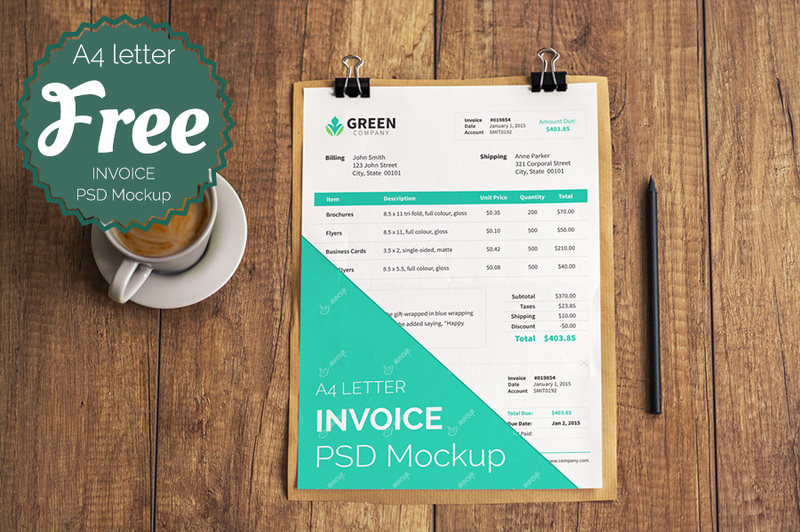 Here is a great, photorealistic, professionally positioned Invoice Mockups in PSD format. 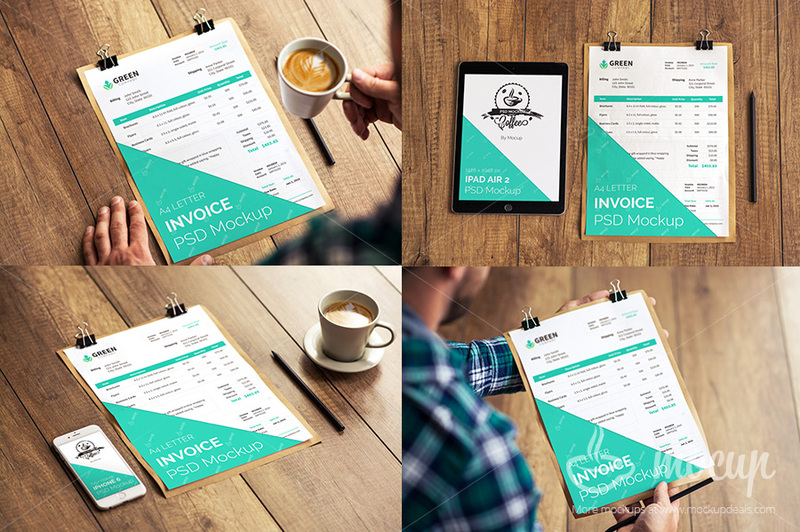 This mockup uses an A4 sheet and best fit to showcase your Invoice Templates or documents. This mockup uses smart layers which makes it easy to customize and put you invoice designs into it. 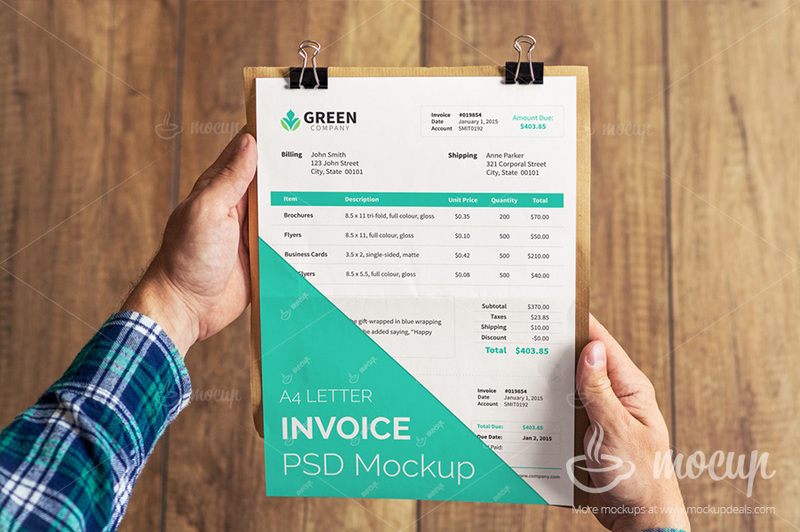 This PSD Invoice Mockup has been designed and released by Mocup. are these mockups or templates? Hi Hamid, These are mockups.